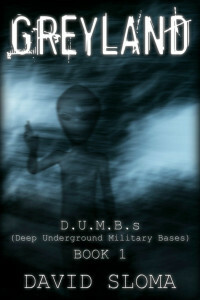 Get Greyland the first book in my D.U.M.B.s (Deep Underground Military Bases) series FREE for a limited time – you just have to tell me where to send it. Leon Verdat thought he knew everything about building underground structures. His contracting business was very profitable and his family was thriving. It only took one visit from a mysterious Man in Black to change his life forever and involve him in the secret war with Grey aliens below the surface.